Seventy years ago at a remote site in New Mexico, the first test of a nuclear bomb was detonated, producing a massive explosion. The test, which presaged the atomic bombs dropped on Nagasaki and Hiroshima, Japan in August 1945, forever changed the course of world affairs. Subsequent nuclear explosions, and the radioactive fallout they produced, quickly gave rise to worries over the dangers of radiation. But what does “radiation” mean? And how have attitudes toward radiation changed over time? The technical definition aside, for most Americans today, it means something like this: energies, often man-made, usually undetectable, that have strange effects on living things. We connect the abstract, physical concept with a personal, biological one. We take special notice when we are exposed to those energies, even briefly. In that sense, the age of radiation began in 1895 with the discovery of X-rays. In the half-century that followed, Americans indulged in optimistic fantasies about the miracles these energies could perform for better health. But they also quickly learned to fear them. On balance, the anxieties have had greater staying power. Such reactions came from the many direct, personal experiences Americans had with irradiation in an era when radium and X-ray machines were icons of scientific modernity in the early 20th century. They were hailed as the wonders of the age, presented simultaneously as poisons and cure-alls, perpetual motion machines and planet-busting explosives. Radioactive substances (or plausible fakes thereof) were added to dozens of everyday consumer products, including toothpaste and lipstick, to enhance them with the mysterious energies of the atom. X-rays were tools of portraiture at the beauty salon (for hair removal) as well as the hospital. 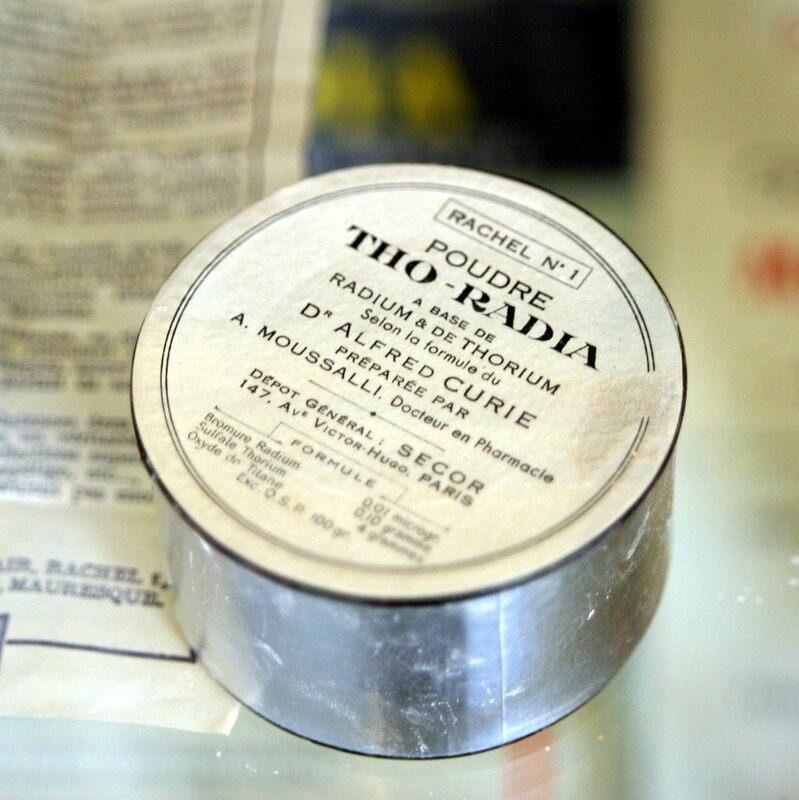 Health and beauty products were often advertised as containing radioactive elements like radium or thorium. Fortunately for consumers, these claims were rarely true. After Hiroshima and Nagasaki, radioactive substances and irradiating machines came directly under the control of a specific few entities: the government, medical authorities and the scientific community. Tangible experiences of radiation became muted and rarer for Americans, and gee-whiz speculations about atomic energies in popular literature gave way to soberer considerations of the new nuclear reality. American feelings about radiation became more guarded and more related to their anxieties about the broader world than to their personal experiences. Radiation, always inscrutable, became a tabula rasa. Physicists emerged from the war with a fearsome and controversial reputation. Some scientists campaigned against further development of nuclear weapons. Many more took Department of Defense funding to do exactly that. President Eisenhower announces the Atoms for Peace program in 1953. Publicly, the government downplayed weapons research while promoting peaceful medical applications of new isotopes. The 1953 “Atoms for Peace” media campaign envisioned international cooperation on energy research. Jobs and comfort came from American uranium, the message went. Obsession with the destructive capacity of atomic energy was the province of the Communist bloc. But enthusiasm faded as nuclear plants became a reality. The public did not universally trust the regulators and corporations that oversaw such plants, nor the engineers and scientists behind them. In March of 1979, two reactors melted down: one at Three Mile Island in Pennsylvania, and one in a movie, The China Syndrome. The fact that the real accident was eventually contained without casualties did little to dispel the anxieties given voice by the movie: that nuclear energies were fundamentally beyond the control of fallible and corruptible people. No further plants were approved until 2012. Radiation anxiety was heightened by the realization that it was becoming harder to avoid. Civilian scientists, refusing to trust “oracles speaking ‘ex cathedra’ from the Atomic Energy Commission,” conducted nationwide tests of baby teeth beginning in 1959. They found clear evidence that fallout from nuclear tests was accumulating in children’s bodies. By 1963, atmospheric tests had been banned, but the sense that radiation was a form of pollution endemic to the new “atomic age” had taken root. Even natural sources of radiation seemed newly threatening. Radon gas, a selling point for early 20th-century health spas, was discovered in the 1980s to be accumulating in dangerous quantities in some residential basements. A terrifying vision of nuclear war: The Day After from 1983. It was this threat of omnipresent and involuntary irradiation that gave nuclear weapons their real horror. One might survive the initial blast, but the irradiated landscape that awaited the survivors was subtle and menacing. Richard Rhodes credits the grim 1983 TV movie The Day After with Ronald Reagan’s energetic engagement in disarmament talks. He was hardly the only person so affected. Books and movies that imagined the world after a nuclear war stressed the physical agonies of radiation sickness. But they also reinforced the association between radiation and mutation: fictional post-nuclear landscapes featured radioactive distortions of both the body and the social order. Radiation had always been associated with change, but in an era when nuclear energies posed an existential threat to the world, it was harder to believe that such change would be for the better. If “radiation” is bound up with Americans’ opinions of the people who wield it, then perhaps the most troubling thing about it is how flimsy and circumstantial their monopoly over it is. There is no longer a “secret of the bomb”; only diplomacy or threats prevent states from acquiring nuclear weapons. Even far simpler devices of mass irradiation – so-called “dirty bombs” – alarm people because of anxiety left over from more than a century of encounters with radiant energy. Cold War-style nuclear anxieties have persisted because we fully trust neither the energies nor the human systems in which they are embedded.